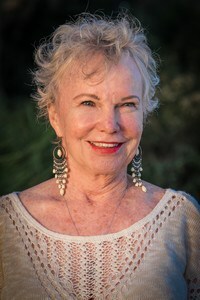 DR. BONNIE MCLEAN O.M.D., A.P., M.A., B.S.N. My title is Acupuncture Physician with an O.M.D. ( Oriental Medicine Doctorate ). However, I consider myself more of a practitioner of Integrative Medicine who uses Oriental Medicine as my primary healing tool. Oriental Medicine recognizes the body as a self-healing mechanism that can best heal if in homeostasis (balance.) The modalities used, such as acupuncture, herbal formulas, cupping, gua sha, electro-stimulation, diet, etc., simply facilitate and support the body to heal itself. I have an MA in Counseling and training in energy medicine ( Reiki and Pranic Healing), energy psychology ( such as EFT or tapping), and shamanic healing. I am often asked if acupuncture can treat specific problems. This is the kind of thinking we tend to have in the West because we are used to a pill or procedure or surgery that is prescribed for a specific injury or disease. Those of us who practice Oriental Medicine don’t think this way. We focus on what imbalances need to be corrected and what we can do to nudge the body to shift into its own unique healing mode. Each individual is thus considered unique in its ability to heal itself. In order to understand these imbalances, we must develop a holistic relationship with our patient’s body, mind/emotions, and spirit. Even though we have a wide range of imbalances we can treat with Oriental Medicine, most of us gravitate to certain areas of illness and injury. Pain is the most common complaint people tend to seek to address with Oriental Medicine. I certainly see my fair share of patients who are experiencing pain of some kind. I also see a number of patients with stress-related complaints, such as anxiety, depression, and insomnia. I treat a number of patients going through some kind of crisis as well as patients who have experienced some kind of trauma. This includes PTSD. I also treat people for habit control, usually cigarettes. I find acupuncture particularly beneficial for people who have just gone through an inpatient program for addiction. I have been practicing Oriental Holistic Medicine for 37 years. I practiced nursing as an RN for 20 years before this. I thus have over 55 years’ experience in the healing arts. I embrace both Western and Oriental Medicine and believe that both are important when someone needs help with their health. To me it is not a matter of having to choose one or the other but of knowing when to use what. In that way I consider myself a practitioner of Integrative Medicine.